Digital fingerprinting is available by appointment only, Tuesday through Friday from 9:00 a.m. to 3:00 p.m. Please bring your blank fingerprint card with you. There is no charge for inked fingerprinting. 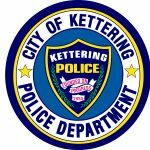 You may submit a request online (below), via phone (937) 296-2580 or via email at ketteringpolice@ketteringoh.org. Please provide as much information as possible to expedite your request. Thank you.